How can I use MDEyeCare? What is it possible to detect? …..5% of pre schooler children have vision disorder affecting their ability to learn?…..Most of those chillare are detected late. Meaning longer treatments, higher costs and lower chancee to get good vision results. …..A highly sophisticate photography could help on early detection of those children, allowing to have early treatment and better results. 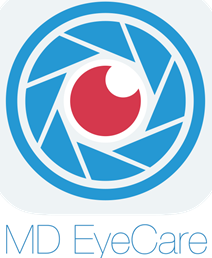 MDEyeCare is a medical app designed for early detection of eye diseases in children. Little kids rarely complaint of visual disability, although they could be affected by a severe one. Conditions such as ocular tumor, abnormal eye development and / or intraocular infections do not produce external changes or pain. The detection of these diseases arises when parents suspect something is going wrong and take the child to the ophthalmologist. Most of the time, this occurs very late. MDEyeCare works as a highly specialised photographic camera. It helps earlier detection of eye disease, meaning lower cost, better results in vision and quality of life. EyeCare MD is among the three finalists for the 2014 awards Avonni in Health category. On September 24 the jury will choose the winner for its eighth version. The award ceremony will take place on 6 November at 19.30hrs. National Television of Chile. We are aware that any medical intervention should be scientifically proven to ensure effectiveness of diagnostics and patient safety. We are working towards demonstrate and certify that MD Eyecare is a tool which gives reliable results if properly applied, could become a valuable tool to improve the visual health of children worldwide. The EyeCare MD application is downloaded for free from anywhere in the world. Since September 2013 they have done more than 1,000 people from five continentes.el planet.